That includes you! A brisk 45-minute walk a day can burn up to 300 calories or even more, depending on the speed and incline. If you up the ante and go for a jog, you can burn even more! Try this calculator to see how walking or jogging can really burn the calories and help kick-start your weight-loss program. Of course if you really want to go for it, you can bike with your dog or even take him on a hike. Make sure you protect your dog’s paws if you are headed off a well-maintained trail. Paw pads are not shoes and cannot withstand major impact from difficult terrain. Best of all, exercising with your dog is free! Gym memberships can run up to $100 for a family, but walking the dog at the beach, around the neighborhood or at the park is a free and fun family activity. 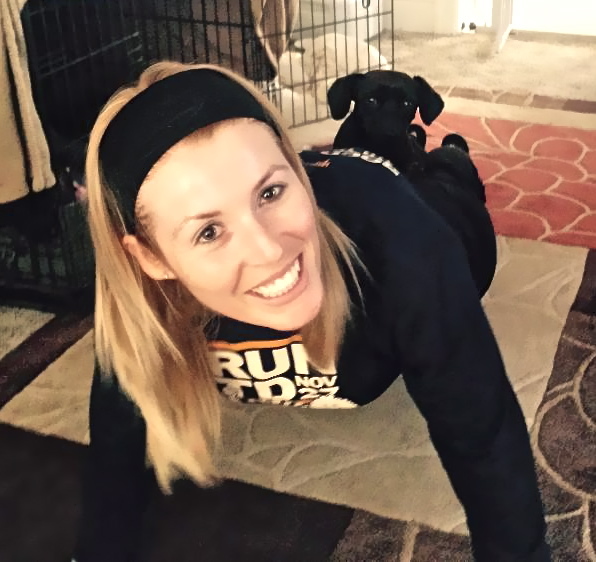 Here’s to getting fit with Fido in 2015! This entry was posted in Health and tagged dog exercise, exercise, lose weight, New Year's resolution, Nicole Eckholm, walking the dog by jaqbennett. Bookmark the permalink.